We heard a steam whistle calling to us, so we drove into the park and found the station. 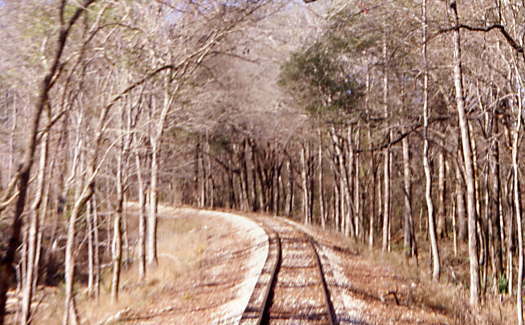 The Texas State Railroad is part of the Texas State Park system. 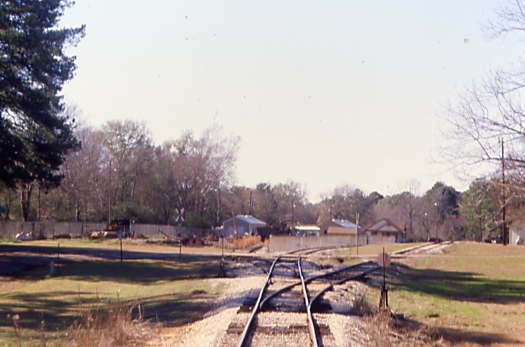 The history of the Texas State Railroad dates back to 1896 when the Texas State Prison system opened the East Texas Penitentiary in Rusk, Texas and needed a better way of getting materials to operate it. 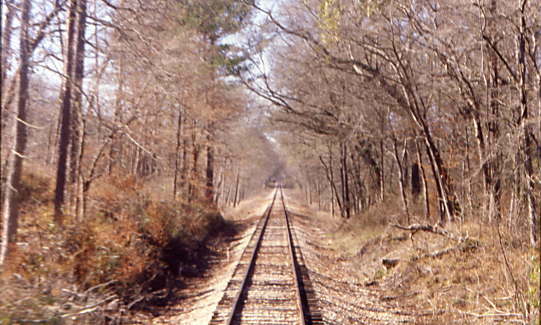 Construction of the first section began in that year and track was laid for five miles in a southwesterly direction from the prison. 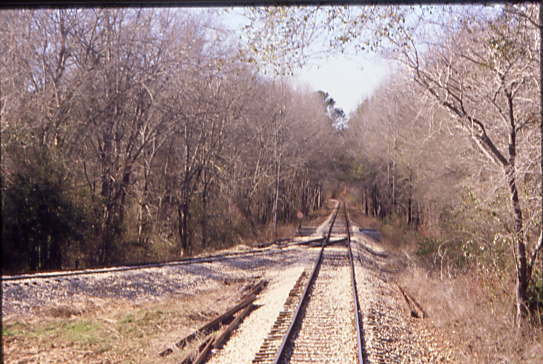 The track was extended an additional five miles to the small community of Maydelle in 1905. 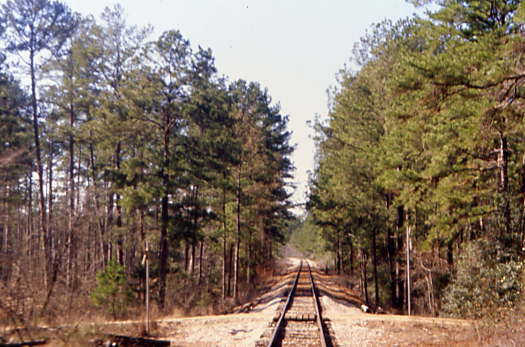 By 1909, the railroad reached the town of Palestine. 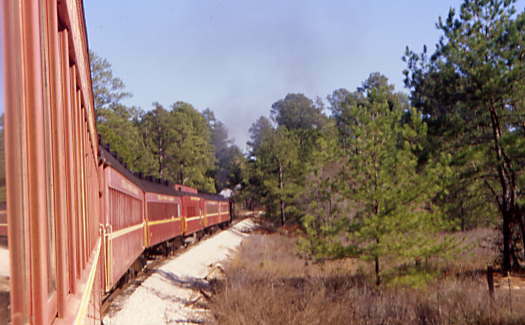 The Texas State Railroad was a common carrier. 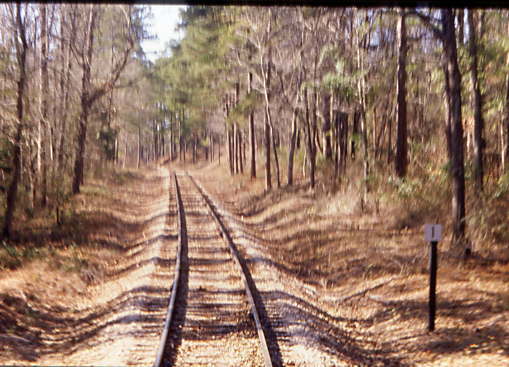 The railroad operated until 1921 when it was offered for lease to the Texas & New Orleans Railroad, a subsidiary of the Southern Pacific Railroad. 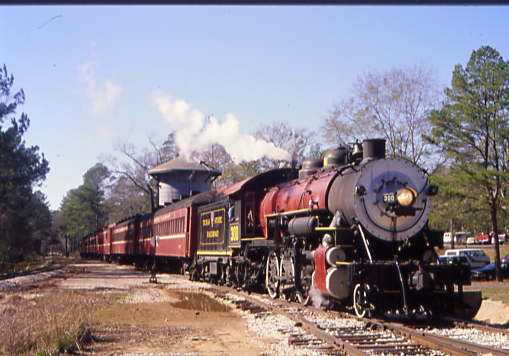 That lasted until 1960 when the Texas South Eastern took over the lease. 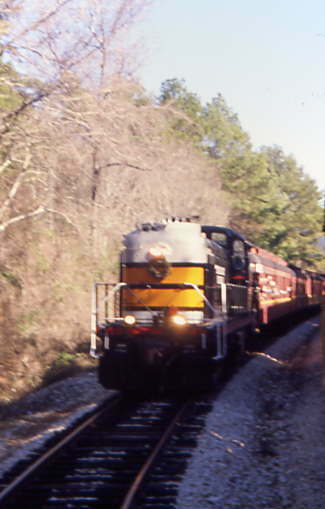 The Texas South Eastern operated the railroad until 1969. 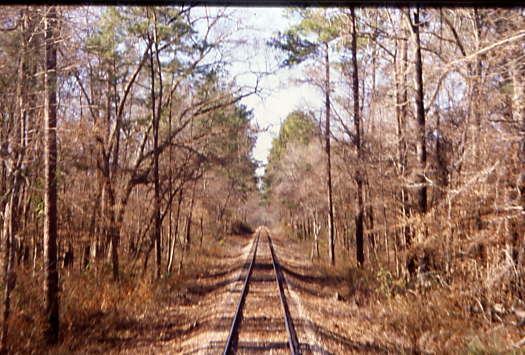 In 1972, the State of Texas turned the railroad over to Texas Parks and Wildlife Department. 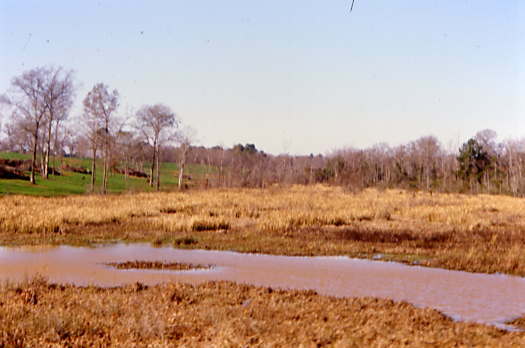 By that point, the railroad was in very poor condition. 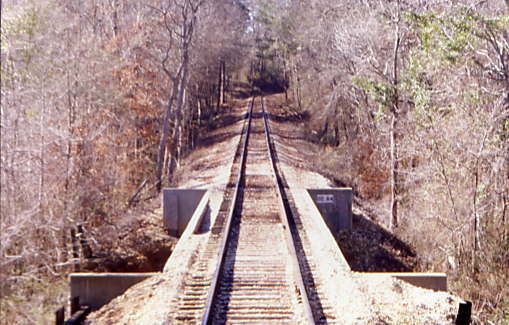 Inmates from the State Prison were used to bring the line back up to operating condition. 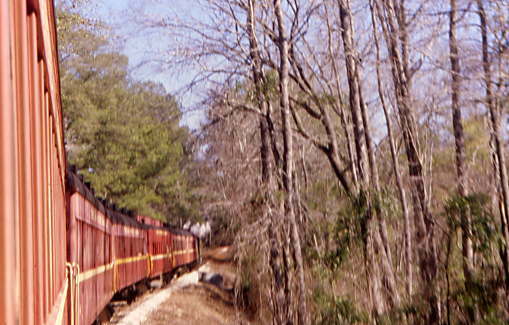 A national search for railroad equipment for excursions was then undertaken. 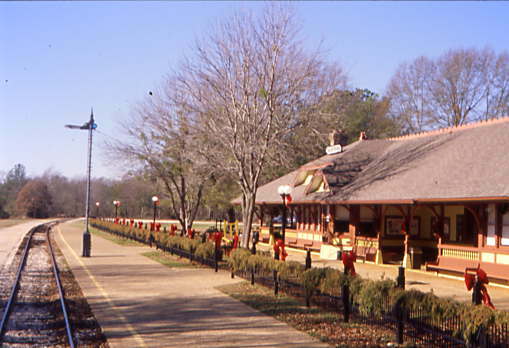 Victorian stations were built at Palestine and Rusk. 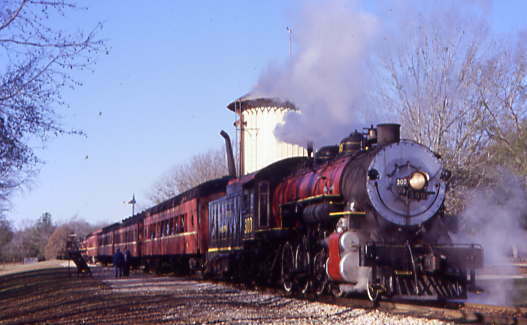 After four years of hard work, the Texas State Railroad Park opened in 1976, giving the public a chance to enjoy steam powered railroad excursions over 25 miles of track. 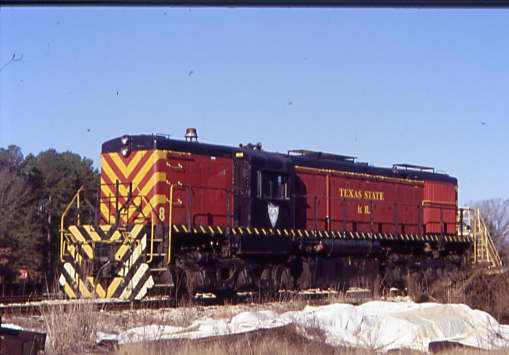 After parking in front of the Palestine station, I walked over to the shop area where I photographed Texas State Railroad MRS-1 8. 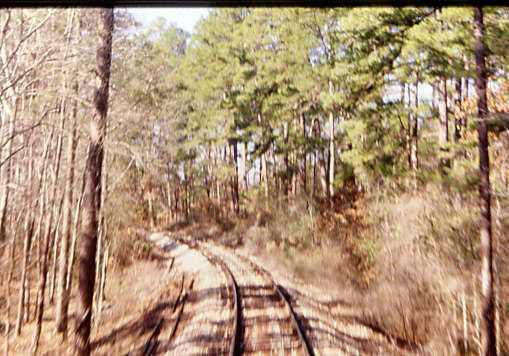 Next we walked over to where Texas State Railroad 2-8-0 300 was steaming away on the point of our train. 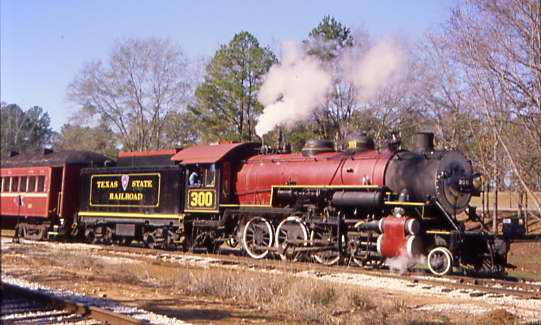 The Texas State Railroad 300 on the point getting ready for the day's trip to and from Rusk. The beautiful train in front of the Palestine Station. First, the locomotive took a car from the front of the train to the shop area. The engine headed back to the train. 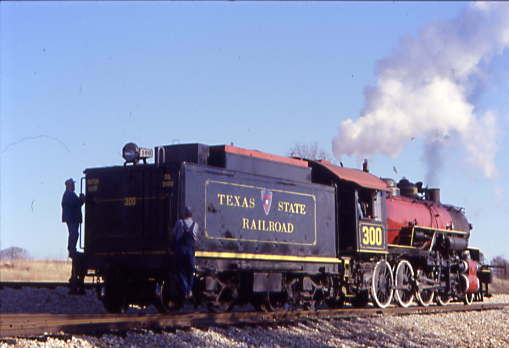 Here the Texas State Railroad 300 passing my photo location. 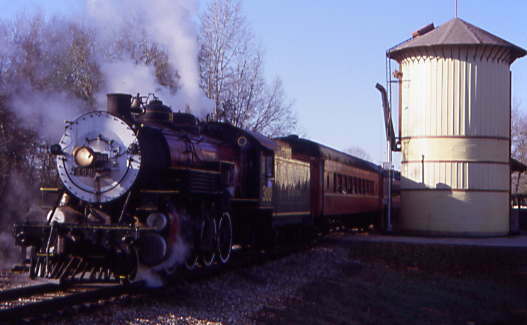 Here it is preparing to back up to the train. 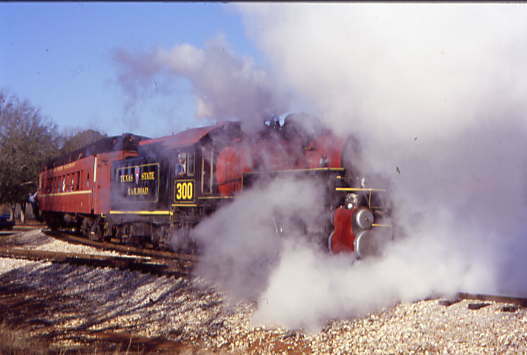 The engine backed onto our train and would be ready to board in thirty minutes. Until then, I walked around and took more pictures. 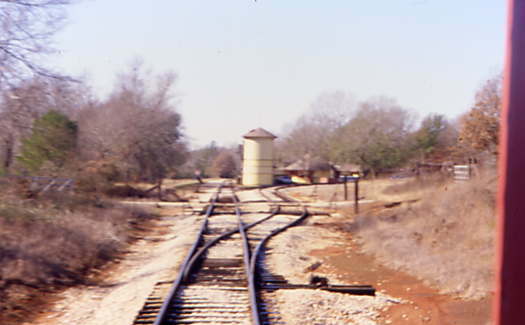 Next to the water tower was a wig wag crossing signal. Then I photographed the beautiful Palestine station. 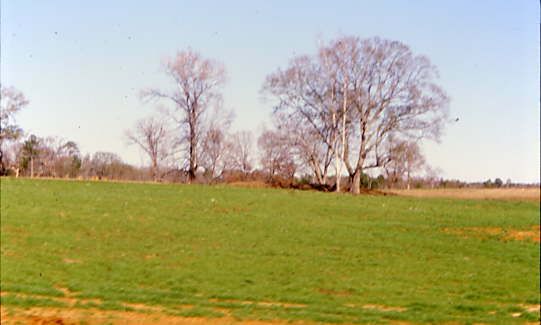 More views of the Palestine Station. The train waiting to back up for boarding. 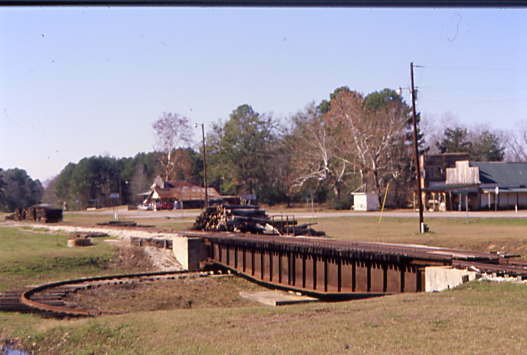 I walked toward the shop and photographed Texas State Railroad 8 and the building. I walked back to the station. 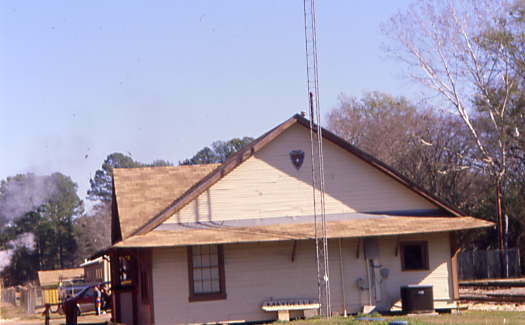 The station has a Texas State Historical Marker in front of it. I went inside and picked up our tickets for this train trip. 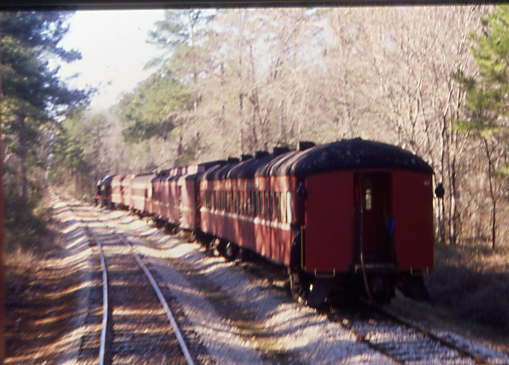 The rear of our train that we would be riding to Rusk on. 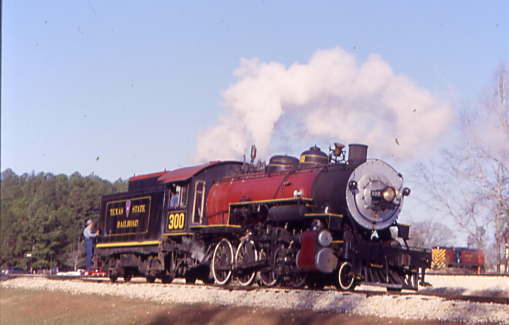 The wig wag and the Texas State Railroad 2-8-0 300. Before I boarded, I talked to the conductor about being able to take pictures and she suggested the back door of the rear closed-off car. We boarded and took our seats in Coach 43, but had to wait for a car attendant to take us back to the rear door. 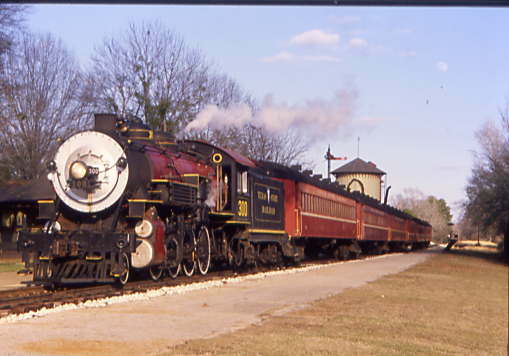 This train had a consist of Texas State Railroad 2-8-0 300, Coach 45, Coach 42, Combine 61, Coach 43, Coach 44 and Coach 46. Chris Parker in Coach 43 before the trip started. Just before departing, our host, H.L. Langston, took us through the two closed cars to the rear door. 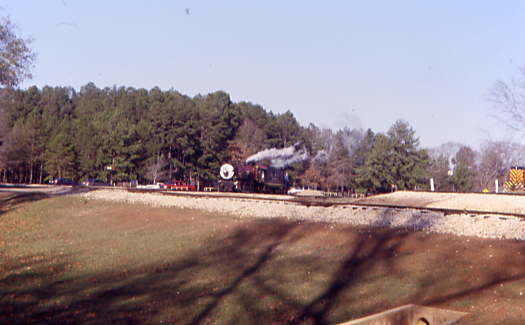 The train pulled out of Palestine station. The last switch to the shops and we were leaving Palestine for good on the eastbound trip. 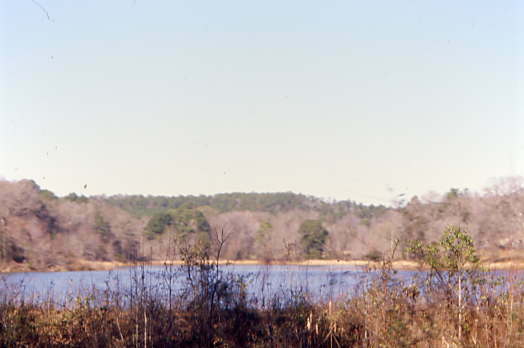 There was a pond along the route as we headed east towards Rusk. 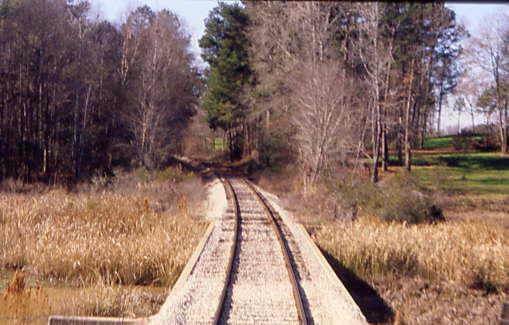 The train then crossed the first of several small bridges on the line. 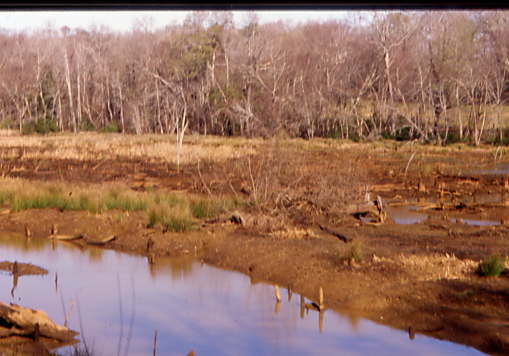 Our train ran by another small pond with a beaver den. 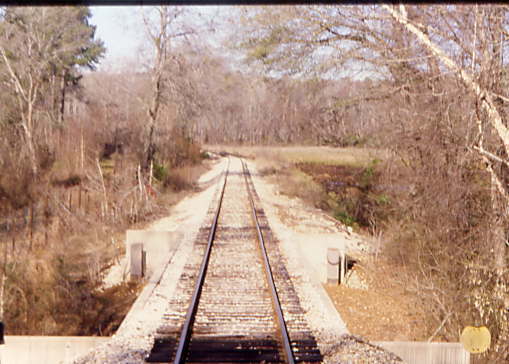 The train crossed over another small bridge. We passed by hills that had been cleared for grazing. H.L. Langston JR was our official guide in the 46 Coach. The inside of Coach 46. We crossed another short bridge and continued through the forest. The forest without leaves allows you to see things. 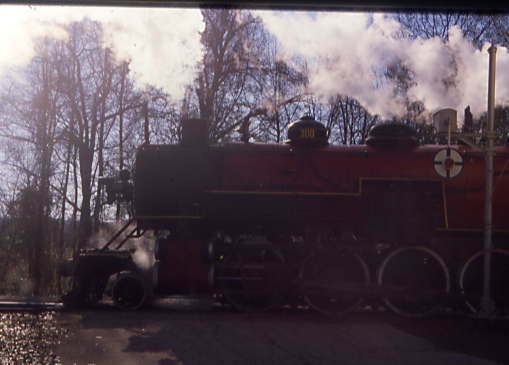 The train ran by the Jarvis wye which is used for turning the steam engines. 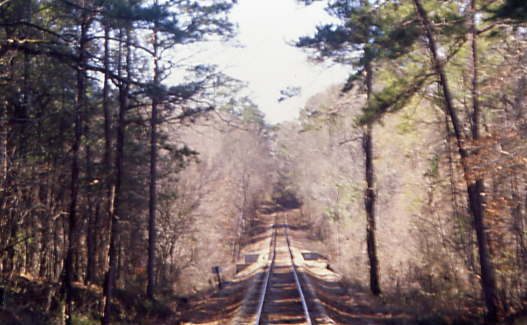 There is plenty of straight track on the railroad. 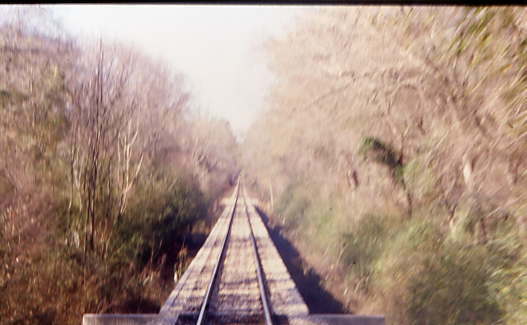 The view of another curve on this railroad. 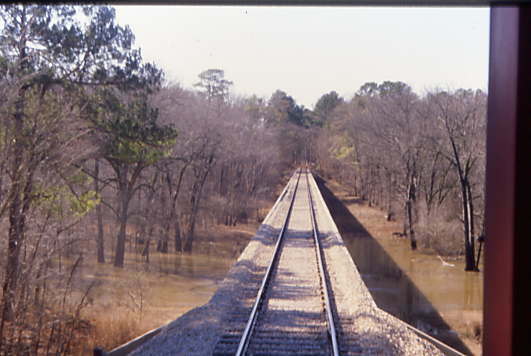 The train crossed the Neches River bridge, which is 1,100 feet long and 38 feet high. 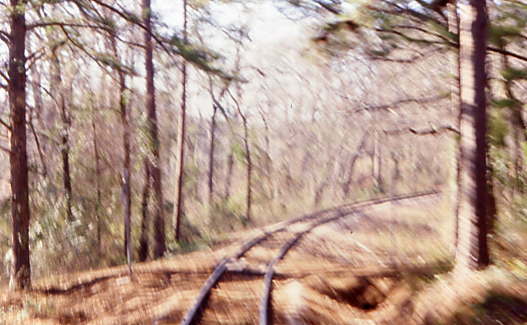 The Texas State Railroad 2-8-0 300 took our train around this curve on the railroad. 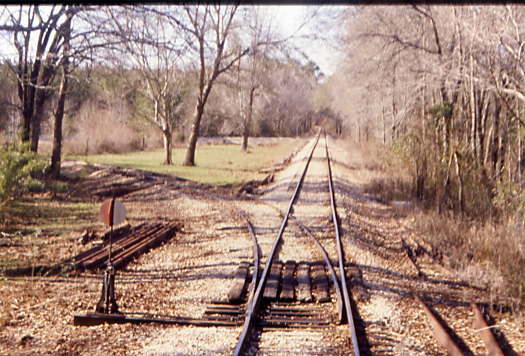 The train went over this grade crossing on our route. Next we passed the diesel train from Rusk to Palestine at Mewshaw siding. The east switch at Mewshaw. Interesting trees at this curve. 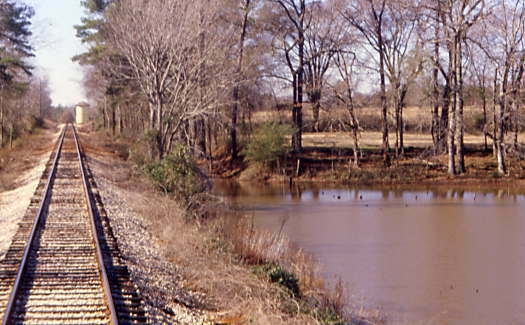 The train ran through Java, Texas. After Java, we went by the yard limit sign for Maydelle. 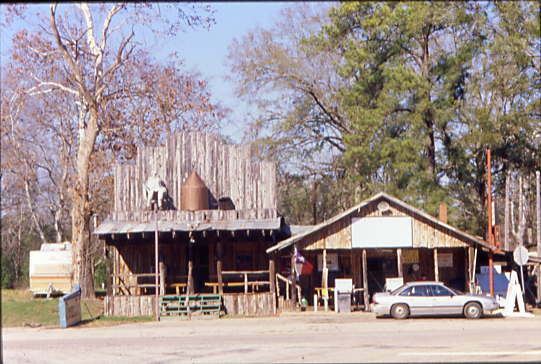 The buildings along the highway in Maydelle could now be seen. 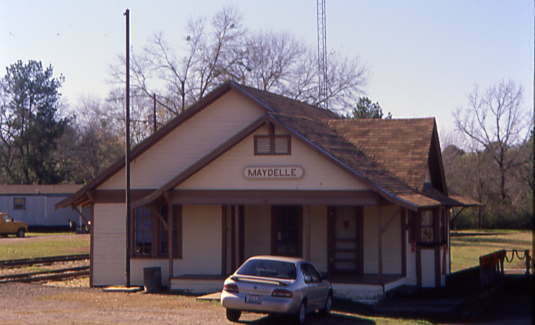 The train ran by the Maydelle Station. 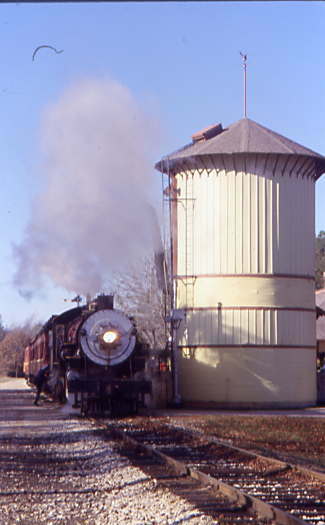 The train went by the turntable at Maydelle. Our train was leaving Maydelle behind. 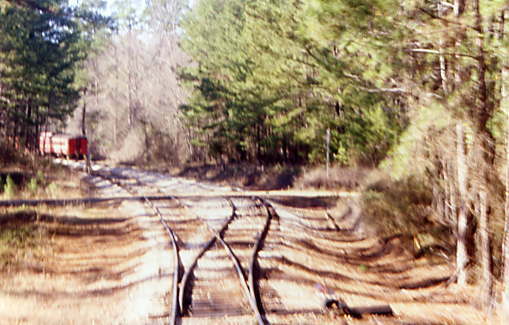 More straight track on this unique railroad. 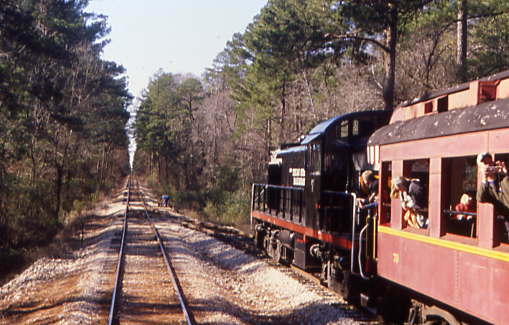 Now our train was getting ready to drop down the 2.4 % grade toward Rusk. Our train rolled down the grade. 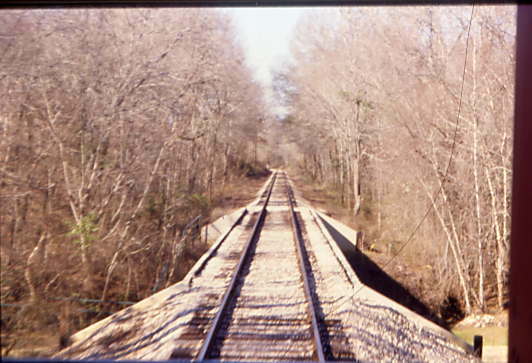 The train crossed the Beans Creek bridge. 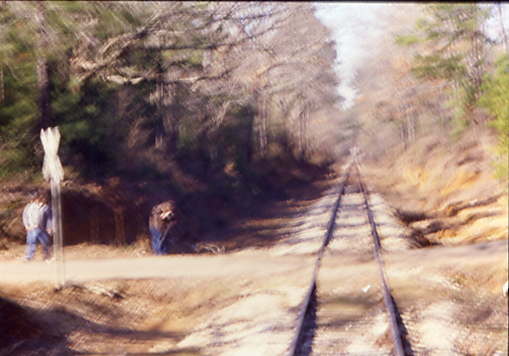 Railfans were out chasing our train on this last day of 2006. 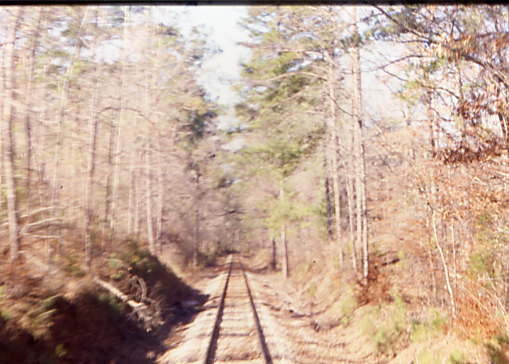 As we approached Rusk, we passed the Milepost 1 sign. 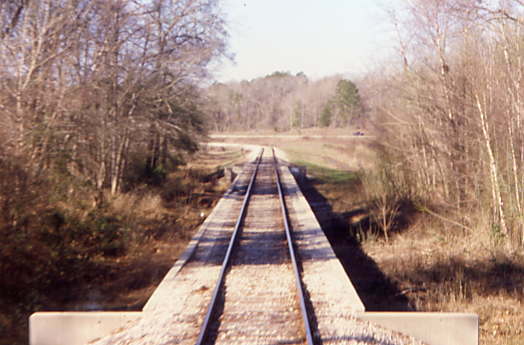 The train rolled down that final mile into Rusk. 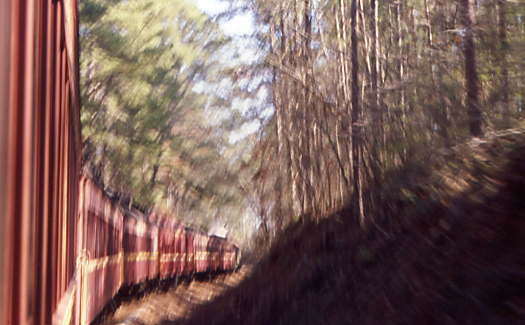 The train went by Cherokee Lake. 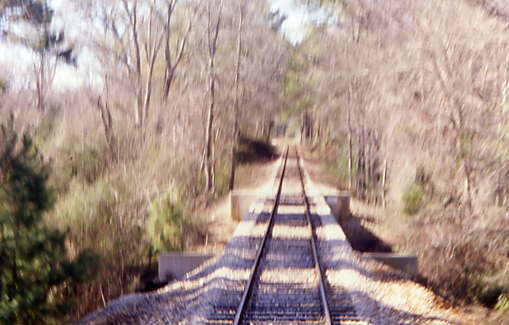 The train crossed a short bridge before we arrived at Rusk. 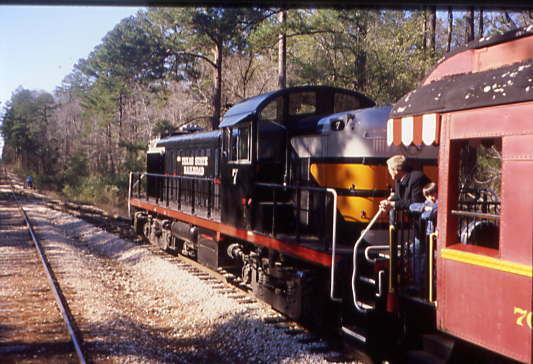 We pulled into the station where it was announced that because of a washout, the train would be unloaded and pulled away from the station because the passing track was out of service. 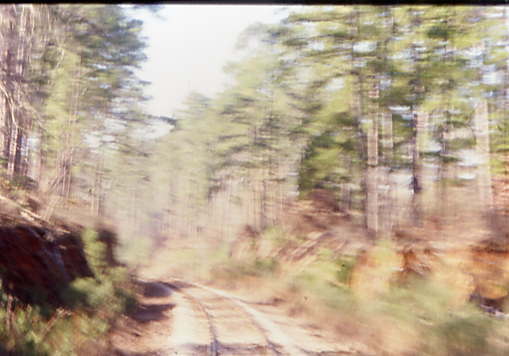 I detrained and went to take some pictures of our train. 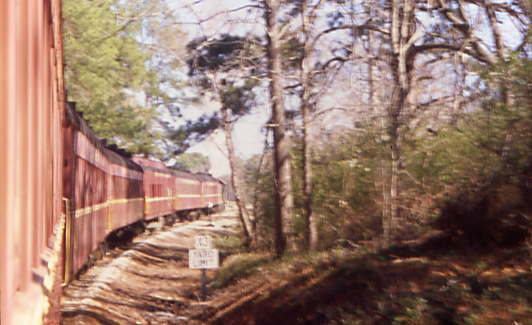 The train at rest at Rusk. 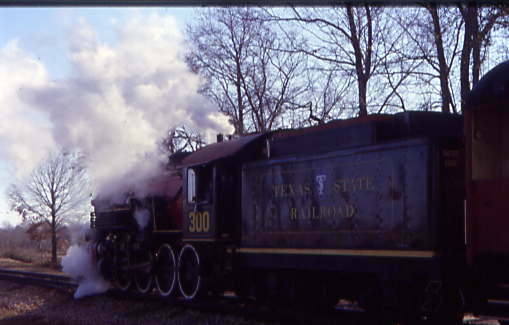 Texas State Railroad 2-8-0 300 at Rusk. The Rusk Station after we had arrived. 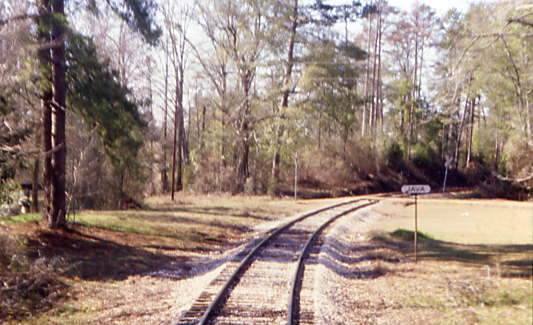 The Rusk Station sign at the east end of our route. Out in front of the Rusk Station. 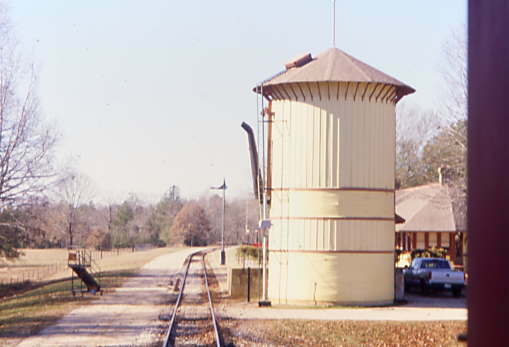 The water tower in Rusk. A washout from that wild Friday night weather we all lived through. A close up of something you don't see every day. It was just the ties that kept the track together as they hung in the air.